Duane Park Patisserie is a tiny little shop across from a mini park in the heart of TriBeCa. They have just one pastry case full of beautifully decorated cookies, mini cookies, brownies, and tarts. It almost seems like the cupcakes are an afterthought, which they might be. There were only a dozen on display and they have 2 flavors, vanilla and chocolate (which they call “Magic”). 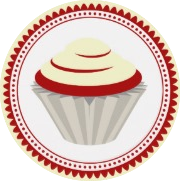 The glossy frosting is perfectly swirled on top without the dome that is typical of most cupcakes. But, shiny and perfect nonetheless. The whole shop just exudes perfection but these cupcakes to not fit in there. Upon biting into this cupcake I immediately reached for my milk because this is most definitely the driest cupcake I have tried so far. And I was surprised by the cream center, which I think was straight up whipped cream. Except I couldn’t really tell because it didn’t even taste like that. The cake it self is very dry, and crumbly. It fell apart in my hands. Not a good sign. The ganache frosting was very smooth and silky with an intense chocolate flavor. I’m not such a fan of using ganache as the frosting for cupcakes since it always overpowers the cupcake. It’s definitely better in the middle as a filling (which is definitely what would make this cupcake a little more Magical). 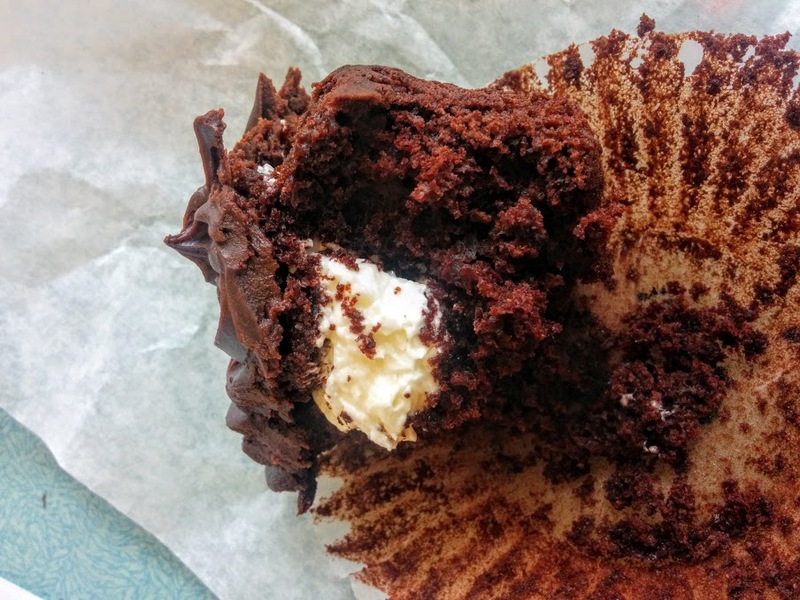 Since the ganache is so rich, there isn’t a ton of frosting to this cupcake, making the cake:frosting ratio definitely lacking. This cupcake is not magical. And seriously not worth $5.00. Not at all. If you are going to blow $5.00 on a blah cupcake, you’re better off at Crumbs. Or spend $3.00 on a good cupcake. Which is worlds better than is one. Duane Park, these cupcakes seem like an afterthought. Stick to your A Game–which is cookies.